Italian plane leased by Israeli company forced to turn back due to malfunction in one of its engines. 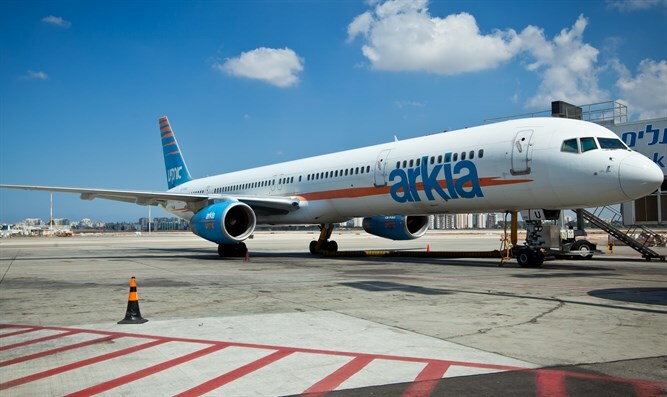 Arkia flight IZ272, which took off from Barcelona to Tel Aviv on Sunday evening, returned about 10 minutes after taking off due to a malfunction in one of the plane's engines. The passengers reported feeling medium-sized tremors and hearing the sound of an explosion after take-off. The plane, which belongs to the Italian company Neos, returned to Barcelona and landed safely. The passengers were removed from the plane and Arkia found an alternative solution to bring them to Israel. Arkia said that "an Italian Boeing that made a flight for Arkia from Barcelona to Israel returned and landed in Barcelona after taking off due to a malfunction in one of its engines. The plane landed in Barcelona. The passengers were removed from the plane and Arkia is promoting an alternative solution to bring them to Israel as soon as possible."